High-energy-density physics explores the dynamics of matter at extreme conditions. This encompasses temperatures and densities far greater than we experience on Earth. It applies to normal stars, exploding stars, active galaxies, and planetary interiors. High-energy-density matter is found on Earth in the explosion of nuclear weapons and in laboratories with high-powered lasers or pulsed-power machines. The physics explored in this book is the basis for large-scale simulation codes needed to interpret experimental results whether from astrophysical observations or laboratory-scale experiments. The key elements of high-energy-density physics covered are gas dynamics, ionization, thermal energy transport, and radiation transfer, intense electromagnetic waves, and their dynamical coupling. Implicit in this is a fundamental understanding of hydrodynamics, plasma physics, atomic physics, quantum mechanics, and electromagnetic theory. 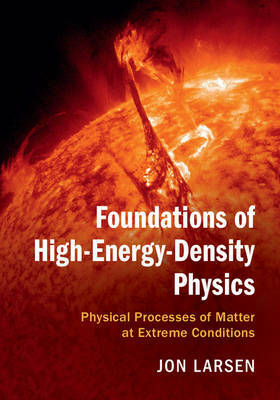 Beginning with a summary of the topics and exploring the major ones in depth, this book is a valuable resource for research scientists and graduate students in physics and astrophysics.